The son of missionaries, Joshua Ellison said his parents instilled in him the concepts of right and wrong at an early age. Now seeking to enter the criminal justice field, Joshua says he is excited to begin a career that reinforces the same values he was raised with. Ellison, 21, said he was homeschooled with his brothers and graduated high school in 2016. He said he chose South Texas College due to its affordability options, and its ability to get him on the right path towards a career in criminal justice. Two years later, Joshua said he now plans to graduate in fall 2018 and then transfer to Sam Houston State University by the spring. He plans to one day enter the Federal Bureau of Investigation in the field of forensic science. 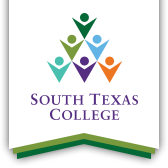 He was recently elected Vice President of Leadership for the Phi Theta Kappa honor society at STC. “Coming to STC, I really didn’t know what to expect and I wasn’t sure of what I wanted to major in,” Joshua said. “I knew I was looking for a degree where I could find a job that was continually changing, in other words I wanted to study something that I wouldn’t just study one time and never use again. “I would tell students to keep a curious mind, and always try to learn new things...never compare yourself with anybody." “To students, I would like to tell them to remember the reasons why you’re here,” Joshua said. “Never compare yourself with anybody concerning your grades or GPA. I learned that the hard way having a brother in college with me. “Most important, I would tell students to keep a curious mind, and always try to learn now things,” he said.